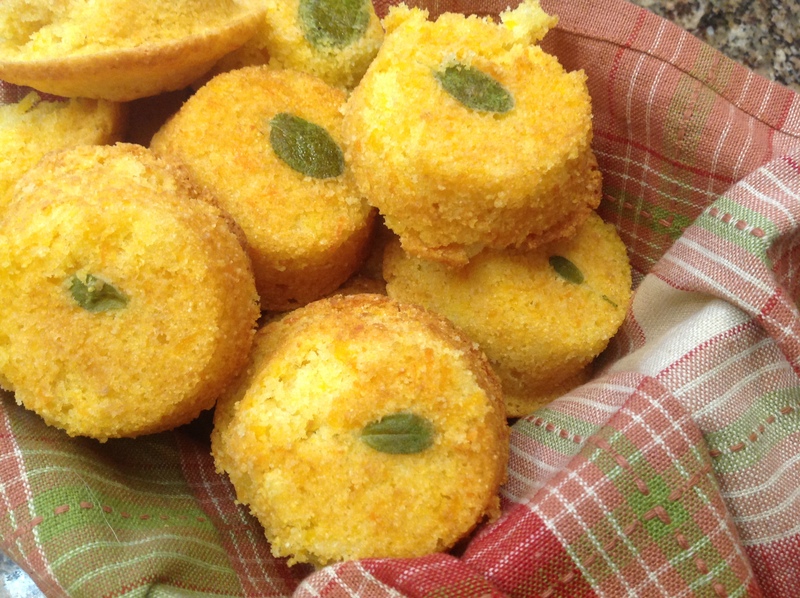 Last Thanksgiving I was tempted to make Cornbread Madeleines after I saw them on Food on Fifth. They looked so good with the addition of grated squash and shaped into fun madeleines. With a houseful of guests coming for the feast and a long hours of cooking ahead of me, I just couldn’t add another recipe to my busy day in the kitchen. But I couldn’t stop thinking of Teresa’s polenta-pamesan-sage madeleines. 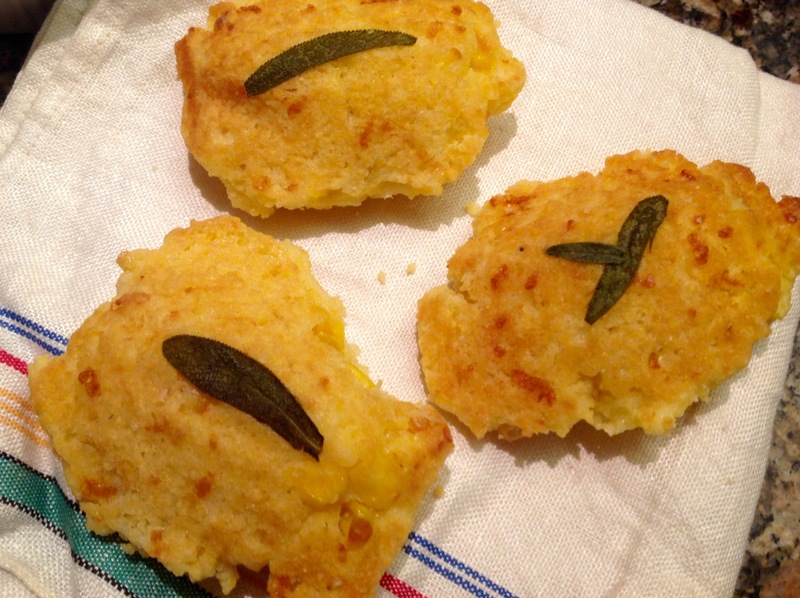 At the last minute I decided to doctor a Trader Joe Cornbread Mix with grated squash, corn and cheddar and bake them in a madeleine pan with a sage leaf. Go figure: they were the biggest hit of the celebration! When asked for the recipe I had to sheepishly confess: they were from a mix doctored with all kinds of goodies. Secret ingredient? Butternut squash! 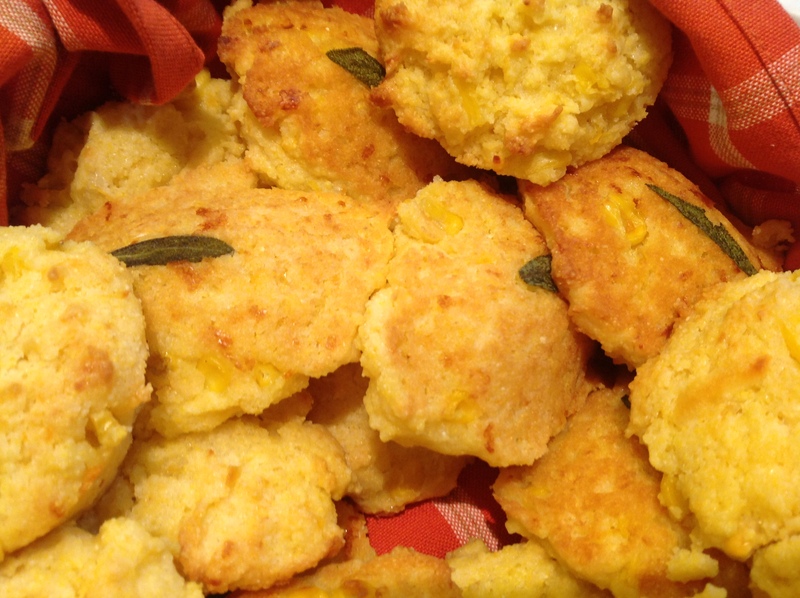 The grated squash and corn adds sweetness, fiber and moisture to the cornbread. The cream and cheddar makes them rich and cheesy. These won’t need to be buttered! If you have time, do look up Food on Fifth’s original recipe. If you are as shameless as me, here is the cheater’s version: Prepare your cornbread mix as per the package directions, substituting the liquid required with half and half cream. To the batter, add 1/2 cup of grated raw butternut squash, 1/2 cup frozen corn kernels, thawed and 1/2 cup grated sharp cheddar cheese. 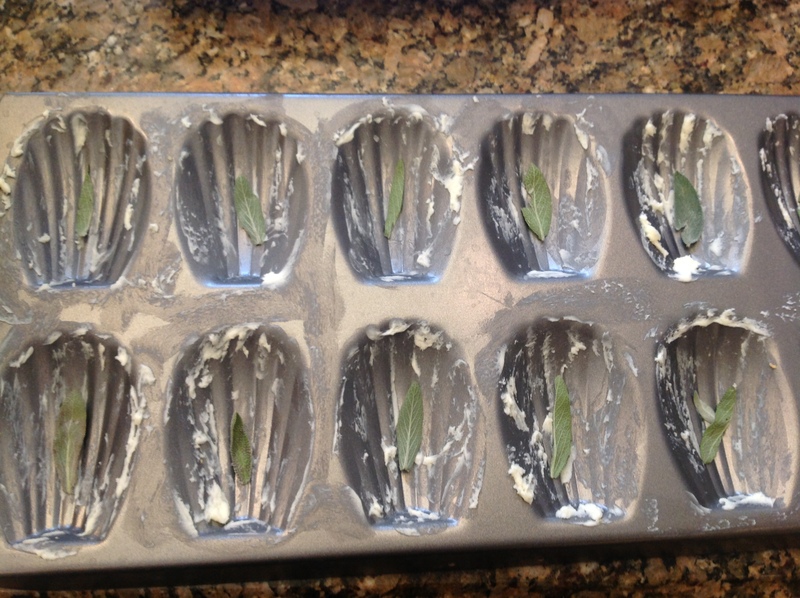 Butter a madeleine pan generously and add a fresh sage leaf to each well, face side down. Spoon a heaping dollop of batter (it will be thick!) in each well and bake at 375 F, in the center of the oven, until golden, about 12 minutes. Enjoy warm. Fair warning: grab one quick as they won’t last! These are great with chili too. I have been hanging on to this post for nearly a year and publishing it to wish all my Canadian family, friends and readers a very Happy Thanksgiving! Of course you could make them in conventional muffin forms too! Just as delicious, but a larger portion. 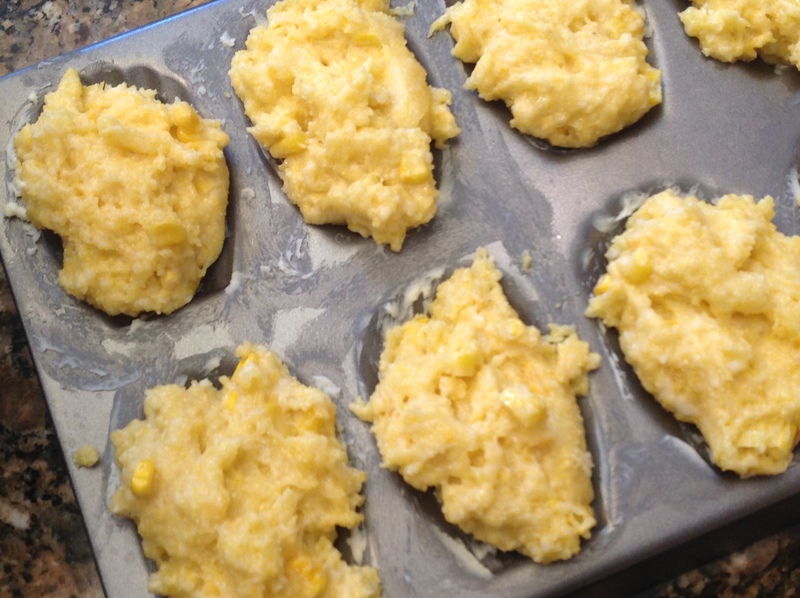 This entry was posted in Recipes and tagged corn madeleines, corn muffins with squash cheese and corn, doctoring cornbread muffins by Johanne Lamarche. Bookmark the permalink. Start testing them now until the US Thanksgiving Judi! Check out Teresa’s elegant recipe too. I. don’t buy mixes except for Trader Joe’s cornbread and their vanilla bean cake mix for emergency baking and they are both excellent. Have you tried them? Yes, I did look at Teresa’s recipe – my sage always lasts through the holidays (unless we get a lot of snow) so I love to use it. No, I have not tried their mixes but I will put that on my list as mixes do come in handy! Oh boy, is this ever unique Johanne! I am all for short cuts, what a great recipe and idea, thanks for sharing! We all need a delicious shortcut sometimes don’t we Jenna? Yes I did see that today was Canadian Thanksgiving. It is not the way you planned it this year but I’m glad you are back home with Chris. Oh mercy sweet Johanne you have made these madeleines even better! I really love your changes and additions so much. 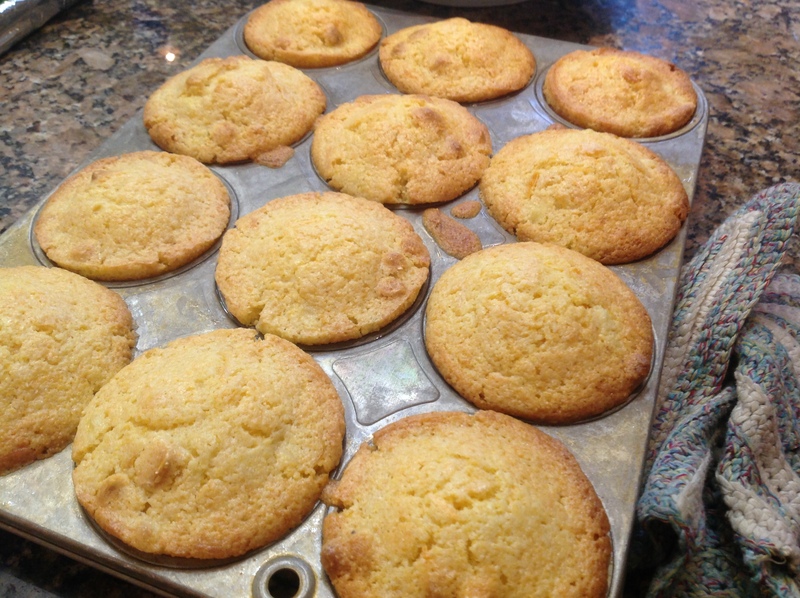 Trader Joe’s cornbread mix is a staple in my pantry as it is really good and so easy to grab in a hurry. Your photos are lovely and I feel so honored that you used this recipe of mine as your launching pad to create a new and better version. Many thanks. Hi Teresa! I am happy to know even you sometimes resort to a cornbread mix! Your madeleines were the inspiration for my knock off and I intend to make them sometime, I promise! I loved that fresh sage leaf on the bottom and they were the crowd favorite at Thanksgiving. So nice to hear from you.